The Alumni General Association of Yunnan University is a corporate social group approved and registered by the Department of Civil Affairs of Yunnan Province. For years it has been playing a more and more important role in bridging and connecting the alumni and the university, and serving graduates, their alma mater and society at large. The association was a member of 11 colleges and universities in the Higher Education Alumni Work Research Branch of the China Association of Higher Education, and has helped prepare the establishment of the National Alumni Work Research Branch of Higher Education. Officially approved by the Ministry of Civil Affairs in 2003, the National Alumni Work Research Branch of Higher Education is a national organization for alumni associations of colleges and universities. In the autumn of 1929, the first graduates of the Private University of Donglu (predecessor of Yunnan University) held a farewell ceremony for their alma mater, the earliest gathering of the school's alumni. On June 17, 1939, more than 160 alumni attended a dinner party at the Huashan Primary School in Kunming, capital of Yunnan province, attended by Xiong Qinglai, then president of the university, and Dong Ze, the university's first president. Graduates planned to set up the first Alumni Association of Yunnan University to strengthen their communication with their alma mater. On Jan 23, 1942, the first alumni representative conference was held at Begonia Spring Hotel in Kunming. The first council of the Alumni Association of Yunnan University (then called the executive committee of the alumni association) was elected. The general regulations of the association were drawn up and the Kunming Municipal Government approved the establishment of the association. On April 20, 1947, on the 24th anniversary of the university, the second alumni representative conference elected the second Alumni Association council and supervisory board. Establishment of the second Alumni Association of Yunnan University was announced after the approval of the Kunming Municipal Government. On Dec 31, 1949, the Alumni Association of Yunnan University published an announcement in the Yunnan People's Daily that it would hold a grand gathering at the beginning of January 1950 to welcome return of alumni who had served in the People's Liberation Army, with all other alumni in Kunming invited. From the 1950s to the 1970s, alumni work was at a standstill. The Alumni Association of Yunnan University actually no longer existed. However, in December 1978, as the country focused on economic construction and development, it was revived. In April 1986, the 63th anniversary of Yunnan University, the association held its third alumni representative conference at which it elected its third council members and drew up its general regulations. In April 1993, on the occasion of Yunnan University's 70thanniversary,the Alumni Association held its fourth alumni representative conference and elected new council members. In response to the growing number of graduates, alumni organizations of Yunnan University have sprung up in different cities and provinces. Consequently, the council of the association decided to change its name to the Alumni General Association of Yunnan University and summarized the significance of being alumni of the university in its general regulations. In June, 1993, the Department of Civil Affairs of Yunnan Province approved the renaming of the association as the Alumni General Association of Yunnan University. In April 1997, the fifth council of the Alumni General Association of Yunnan University was elected. From 1994 to 2014, the association has taken part in the third to the 20th standing councils and seminars of the National Higher Education Alumni Work. The association successfully held the seventh National Higher Education Alumni Work Seminar in July 2000 and became a member of the editorial board of the Research of Higher Education Alumni Work. Alumni of Yunnan University, the official journal of the Alumni General Association of Yunnan University, records the development of Yunnan University and the ethics of its renowned teachers. It is an excellent vehicle by which alumni can learn about their alma mater and fellow graduates, and preserves precious pictures of the university's landscapes. The 112th issue of Alumni of Yunnan University was published in November 2012. The journal has grown up with the university and is an emotional link between the school and all its graduates. In April 1947, the second council of the Alumni Association of Yunnan University decided to publish the Alumni Address Book of Yunnan University to make it easier for graduates to reach each other. The journal was published irregularly at that time and the cover of its first issue was printed with the university's triangular logo and its four-character motto "Sincerity, Integrity, Intelligence and Perseverance". From the 1950s to the late 1970s, the Alumni Address Book of Yunnan University ceased publication as the alumni work was at a standstill. In February 1985, a new edition of the address book was reprinted. In April 1986, the third council of the association decided to rename the Alumni Address Book of Yunnan University to the Yunnan University Alumni Newsletter. In June 1990, the Yunnan University Alumni Newsletter was revised for the first time. In October 1994, the Yunnan University Alumni Newsletter had its second revision. The revised journal published brief stories about more than 200 experts, scholars, and model workers who had made outstanding contributions. In July 1997, the third revision of the alumni journal was completed in accordance with the requirements of the executive council of the association and the journal was renamed Alumni of Yunnan University. In March 2009, Alumni of Yunnan University completed the fourth revision with breakthroughs in column design, article quality, cover design and other aspects. At the end of the same year, the journal was named the national outstanding journal of higher education alumni work. In January 2012, Alumni of Yunnan University was revised for a fifth time, and began to be printed in full color. At the same time, it added interviews with well-known alumni to make the stories more time-sensitive. It also began to pay more attention to outstanding teachers and the development of specific schools. The enriched journal was more readable and proved popular with alumni. In December 2012, Alumni of Yunnan University won the silver-prize of the Outstanding Continuous Internal Publications Biennial Awards of Yunnan province organized by the Yunnan Provincial Bureau of Press, Publication, Radio, Film and Television and the Yunnan Printing Industry Association. 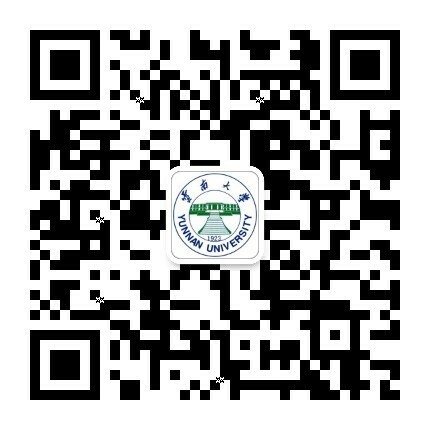 Address: Room434, Mingyuan Building, Chenggong Campus of Yunnan University, Huannan Road, East of University Town, Chenggong New Area, Kunming city, Yunnan province.